SOUTHLAKE, TEXAS – Champions DFW listings reach beyond the Southlake area. Champions DFW Commercial Realty, LLC, is a full-service commercial real estate firm based in Southlake, Texas and services communities throughout the State of Texas. Take a look at these Champions DFW listings in Weatherford, Keller and Plano. In Weatherford, Champions DFW listed 2699 Azle Highway (near State Highway 180 and Axle Highway). This industrial/flex building is for lease, and it features approximately 4,000 square feet of warehouse space. Highlights of the industrial/flex building include move-in ready warehouse space that features good clear height, overhead grand doors and floor drains. The Champions DFW listings reach extends to Plano where Champions DFW listed 773 Bandit Trail (located near North Davis Boulevard and Precinct Line Road). This medical office building for lease features approximately 2,500 square feet of medical space for lease. Highlights of this medical office building include new first generation medical office space, high speed phone and data services, and it has monument & building signage. 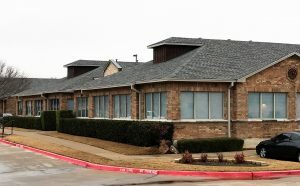 In Plano, Champions DFW listed 4601 Old Sheppard (near the North Dallas Tollway). This professional office condo for lease features approximately 1,210 square feet of professional office condo space. Highlights of the office condo include move-in ready space, high-speed phone & data services, and monument signage. Find more information regarding Champions DFW listings reach, visit the Champions DFW website: championsdfw.com. Or, call Champions DFW at 817-488-4333. Connect with Champions DFW on LinkedIn, like Champions DFW on Facebook, follow us on Instagram, Twitter and listen to our free podcasts on our website and iTunes.